R•Home Magazine! — Paper Rose Co.
Not long after my lovely chat with writer, Maria Carter, I heard from their photographer about scheduling a portrait. (This part I wasn’t as thrilled about, but ok.) Later in our conversation, he mentioned that they might want to use my story on the cover. Now I was nervous! Luckily, and maybe even encouraged by my sarcasm, they decided to use one of my studio photos for the cover shot—and what a beautiful cover it is! 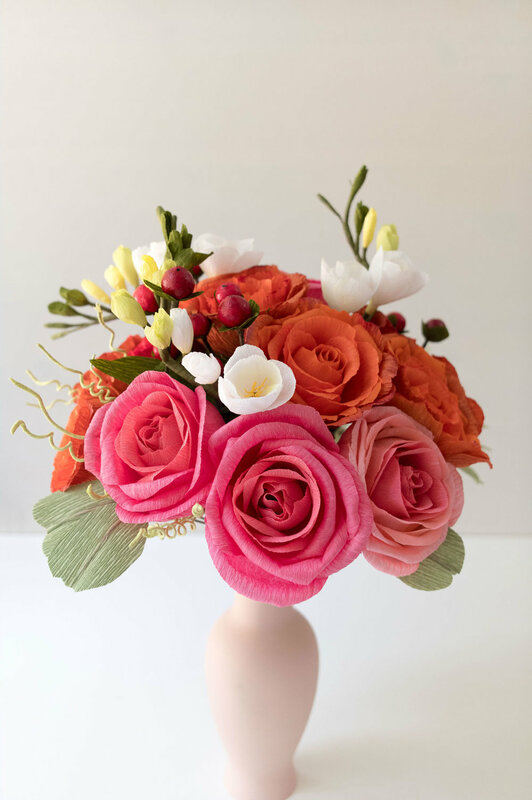 There are lots of shots of my studio, flowers, and yes, even me, intertwined with a fun Q&A about my work and flowers. 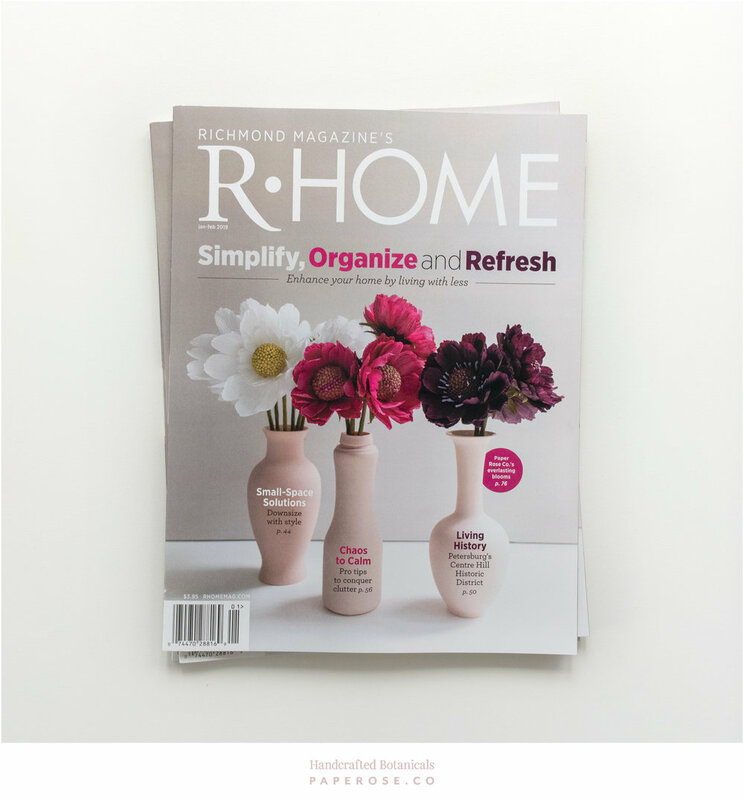 If you’d like a copy of your own, go to R•Home Magazine online, or pick one up at any of their many stockists locally now through the end of February. I’m so honored and humbled to be a part of this issue. I hope you enjoy it too! Background about the pieces featured in the magazine. Paperversary bouquet created for Terry & Carol, featuring scabiosa, ranunculus, garden roses, dahlias, anemone, celosia, and foliage. Paperversary bouquet featuring freesia, hypericum berries, roses and silver dollar eucalyptus. Matilja Poppies (referred to as Eschscholzia poppies in the article).